During the biggest and most prestigious party of the annual Frankfurt International Bookfair, the author of the hottest manuscript is murdered. His book is rumored to implicate a prominent family in acquiring stolen art during the Second World War. This prompts a bidding war despite the implied danger for those involved with the book. Set in the international world of publishing. 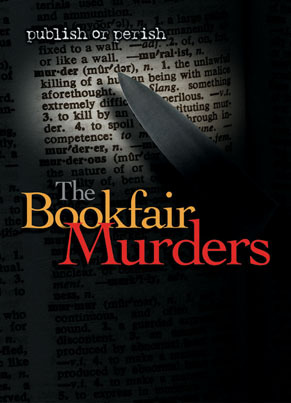 THE BOOKFAIR MURDERS features high-powered publisher Marsha Hillier and her journalist pal Judith Cass as the resourceful pair who navigate their way through the dangerous territory of predator agents, secret deals, murder and celebrity authors.